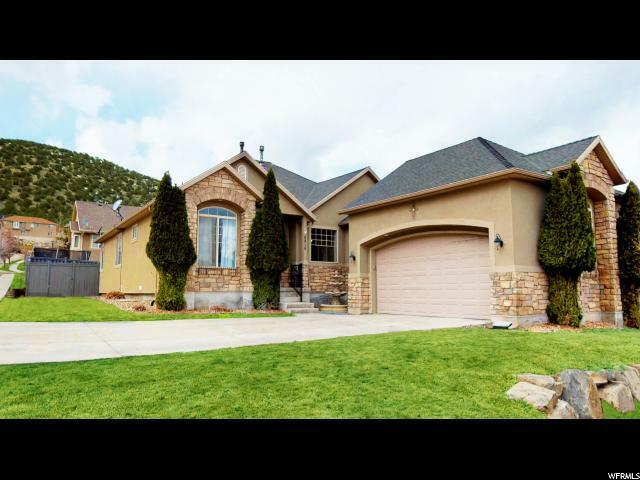 All KIOWA VALLEY homes currently listed for sale in Eagle Mountain as of 04/18/2019 are shown below. You can change the search criteria at any time by pressing the 'Change Search' button below. "URGENT! MOTIVATED SELLERS THAT MUST SELL QUICKLY!!! Why build when you can get this 100% finished large custom home at just over $100 a sq ft., and NO HOAs in this beautiful Eagle Mountain neighborhood. NEW GRANITE COUNTERTOPS, CARPET, PAINT and WATER SOFTENER with reverse osmosis drinking water in kitchen. Gas stove with double oven and extra large island! Master suite on main level with spacious walk in closet , deep soaking tub, separate shower and double sinks. You will also enjoy a fireplace in the master bedroom with beautiful french doors leading to your own private covered patio.There is an additional fireplace and tray ceilings in the great room with large windows bringing in natural light, with another door leading to the second covered patio where you'll find a gourmet Stainless steel BBQ grill which will stay with the home! Two additional bedrooms on the main floor or turn one into an office, the options are endless with the outstanding design of this home. Basement great room already wired for a theater room. There are 4 very large bedrooms downstairs, and additional stack-able washer/dryer hookups in the basement bathroom. For storage purposes, there is an: Over sized 2 car garage, mudroom, and 2 storage rooms that will bring the WOW factor!!! Walking trails are just a few steps away with beautiful mountain and lake views. Close to the new Eagle Mountain high school, Cedar Valley High set to open 2019, new grocery stores, theater, gyms, several new restaurants and so much more!! Don't let this beautiful custom home sell to anyone but you!!! Make an appointment before it's gone!! *Sellers are also offering a one year home warranty!!! 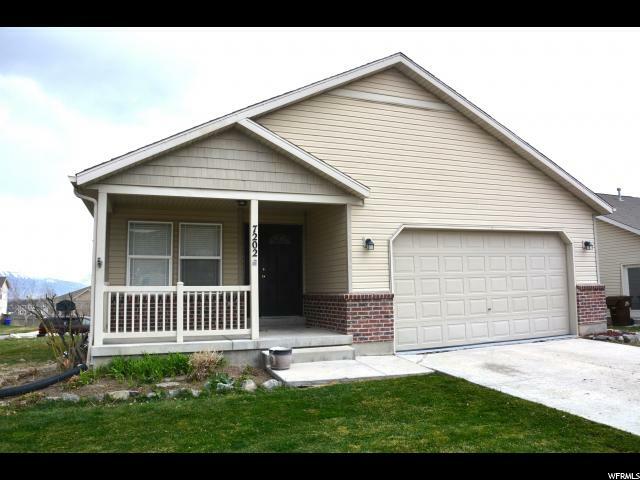 *Buyer to verify all info "
"Come see this gorgeous custom home in the desirable Kiowa Valley neighborhood. With a beautiful mountain behind you'll never have back-yard neighbors again. And wait until you see the master suite with a brand-new entertainment wall, fireplace and a sitting area that will become your private retreat. Beautiful landscaping in front and natural landscaping behind gives this home a one-of-a-kind feel. 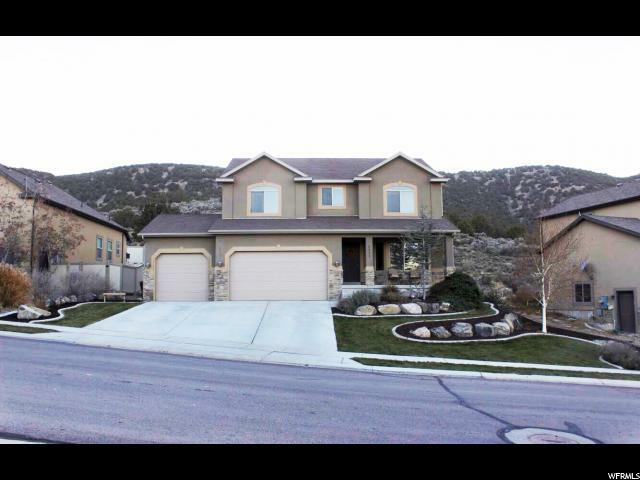 Views of the entire valley, Timpanogos and Utah Lake out the front windows and mountain views out the back windows. Carpet, tile and Granite counters complete this home. " "OPEN HOUSES SATURDAY 20TH, 11 A.M. - 2 P.M.. AND SUNDAY 21ST 11 A.M. TO 3 P.M. BE SURE TO SEE ALL 28 PICTURES AND SOME WITH DESCRIPTIONS. OUT OF STATE OWNER. Beautiful 2772 sq foot (approx) Family Home with 5 Bedrooms, 3 full baths, 2 family rooms. It has room for everyone! Enjoy the views from the main floor family room. In the morning, watch the sun come up over the Wasatch. In the evening, see the reflected colors of the sunset on its snowy peaks in the winter. Open concept with large kitchen/family room area. Large 15' x 28' play room or man cave downstairs. Over $15,000 in improvements made in March: NEW GRANITE in kitchen. NEW DEEP HEAVY DUTY KITCHEN SINK, NEW 60 OZ NYLON CARPETING WITH UNGRADED PAD, FRESHLY PAINTED in nearly every room, NEW WATERPROOF VINYL PLANKING WITH 25 YEAR GUARANTEE, NEW BLINDS, NEW ATTRACTIVE EPOXY RESIN ON GARAGE FLOOR. This home with two family rooms, vaulted ceiling and WARM AND BRIGHT HOME with these NEW IMPOVEMENT WILL SELL FAST!"